This paper, birthed out of personal, methodological and ethical tension, examines the study of cultures online. Reflecting on my previous research on fans of the videogame series Fallout, I argue anyone studying interaction online, and making cultural claims based on these studies, must be mindful of two tensions. First, the study of cultures online demands we decide whether we frame online interaction as ‘place’ or as ‘text’. Next, the study of cultures online demands we decide whether we construct our role as ‘participant’ or ‘observer’. These tensions have methodological and ethical dimensions. Ultimately, scholars of cultures online must make these decisions reflexively. Their research questions should work in concert with their methods, and their claims must be appropriate for the methodological and ethical positions they take. As digital cameras and smart phones are bought and used in increasing numbers, millions are now using online photography sites to upload and share their own images with others. One popular site to do this is Flickr which is fundamentally changing the way personal, everyday photography practices are being conducted on a global scale and increasingly allowing online and offline worlds to become intertwined. This article proposes that in order to better understand these new entanglements, an alternative approach to researching visual practices is required. Rather than simply analysing the content of sites like Flickr, a more interesting approach can be adopted by examining offline and online photographic practices from a non-visual perspective. This paper outlines an alternative conceptual framework, incorporating ideas from phenomenological philosophy and Non-Representational Theory (NRT), to consider the many ways that various sensory elements combine to make photography a thoroughly embodied and fundamentally corporeal practice. It proposes a methodological strategy to study participants' photographic habits, both when they visit and navigate around Flickr and explore offline environments with their camera. Nature myths have been described in a number of contemporary media texts, both overtly and through connotation. Media like multiuser virtual environments (MUVEs) offer a critical challenge because they at times approach an immersive, felt realism that seems to transcend symbolism itself. Readers of these texts inhabit the space in a more compelling manner (in a phenomenological sense) than one’s identification or engagement with a novel or movie. Because of the way this kind of virtual space inhabits a liminal space between real and not-real; material and embodied, yet completely constructed and artificial; it’s especially interesting to see how other-than-human life and ecosystems are represented here. A common sight in Second Life is a kind of idyll, a natural-seeming area most often in the form of a forest through which avatars might stroll hand-in-hand or simply gaze upon, much as the 19th-century Romantics sought visual experiences of the Sublime. If we take such texts on their own terms, Nature is valuable and restorative. But the text also reinscribes a binary between “natural” and “civilized” areas, and the spaces are promoted (on search engines) as, primarily, places to relax and unwind. In other words, as a place for human consumption. Resistive readings are possible, and the paper describes several of these based on a close reading of several prominent Second Life constructions, concluding with a formative critical methodology for ‘reading’ virtual reality. The increasing adoption of blogs by Internet users during the last seven years, has contributed to the restructuration of the online political mediascape in many national contexts. Based on an analysis of the socio-political behavioural profile of French-speaking Quebec political bloggers in the spring of 2008, this article provides an assessment of the multidimensional challenges and opportunities linked to the constitution of social media research samples through non-probabilistic viral or decentralized strategies. More specifically, it argues for the development of more methodologically rigorous quantitative and qualitative investigation approaches that can deal with the constantly evolving structural and functional particularities of the Web 2.0 political media environment. This is especially relevant considering the rising popularity of blogs, social networking services (SNS) and other Web 2.0 tools as objects of research among the international scientific community. Derived from the premises of ongoing doctoral research, this article will address the epistemological and technical methodological challenges raised by a qualitative analysis of ‘nostalgic’ online photographic journals. Following a general justification of the research and a theoretical contextualization, the discussion focuses on the eclectic methodological framework that the author proposes to use, from discursive textual analysis and photographic semiology to interviews. Conceptual ambiguities, research lacunas, practical problems, a lack of reflexivity in the field and a shift in the nature of contemporary blogs are additional critical points that the author discusses. Concluding the article is a brief, case-in-point presentation of the immensely popular ‘nostalgic / retro / vintage’ blog ‘.la douleur exquise.’ (misswallflower.tumblr.com), designed by a 20 year old Georgian girl and followed, as of February 2011, by over 50,000 distinct Internet users. A project on interracial dating online provides the backdrop for a survey on the conceptual frameworks available for research in the folds of race and virtual spaces. This essay discusses some of the methodological challenges that might be encountered, and relies on past work as guideposts for negotiating the tricky nature of virtual environments. The difficulty of examining website infrastructure, particularly the technologies used by dating websites to sort, profile, store, and filter, is the central problem. Using Susan Leigh Star’s (1999) notion of infrastructure—the invisible, embedded, systems that orchestrate the background—I suggest the infrastructure of dating websites can allow users to discriminate in ways that are not possible in real life. I propose that research situated at the intersection of race and virtual spaces would benefit by looking more closely at the built environments that scaffold social relationships and practices. The increasing adoption of blogs by Internet users during the last seven Millions of users worldwide engage in social network sites (SNS). This paper addresses the question of what methods may be considered adequate for undertaking research in this field by referring to an ongoing interdisciplinary research cooperation between the Fraunhofer Institute for Secure Information Technology SIT, Darmstadt, and the Department of Cultural Anthropology and European Ethnology at Goethe University, Frankfurt am Main. In this research we employ a mixed methods approach and understand SNS as a field site and a tool. These presumptions enable us to examine the so-called ‘privacy paradox’ phenomenon, which will be discussed next. This article aims to defend a practice-based understanding of software applications in general, and of intranets in particular. Recently, the notion of practice has become prominent, not only in the area of Science and Technology Studies (STS), but in social theory in general. It rests on the understanding that the social has to be analysed as an ongoing accomplishment which transpires through situated, local activities. Artefacts are conceptualised as part and bearer of these activities and refer to the socio-material dimension of practices. This article, therefore, presents the relevant literature on the utility of practice theory for software research. Furthermore, it outlines methodological implications that stem from the conception of practices by introducing the idea of a ‘praxiography’. This discussion takes place in the context of an ongoing investigation of collaboration software which explores a company's intranet in different departments in which it interacts with a variety of work practices. Overall, the article will present the practice theoretic perspective as an appropriate research stance for social scientific research of software applications. It concludes by looking at the challenges practice-based research has to tackle. 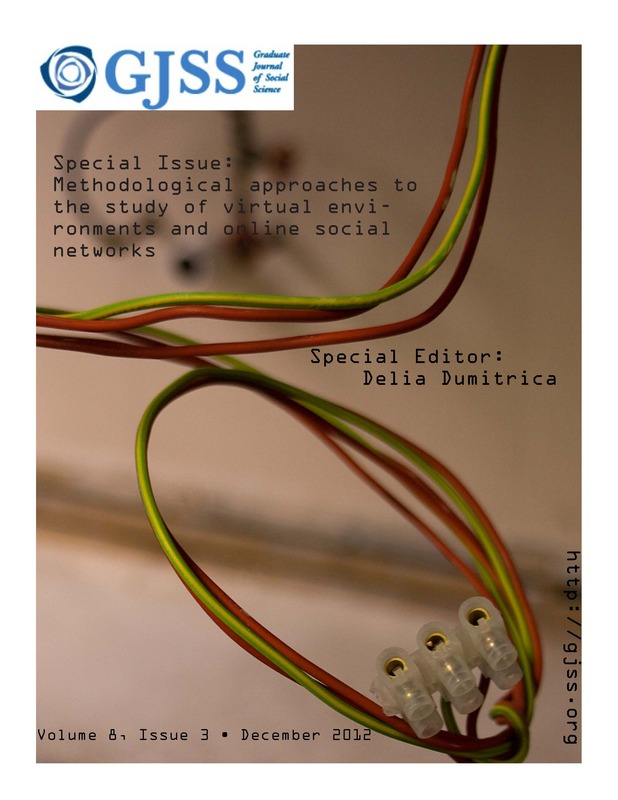 This essay presents an account of the particular experiences with using online spaces for connecting citizens and experts by two scholars who were amateurs in online interaction. The set-up of an online platform for public participation in river management, and an online discussion between citizens and experts in medical genomics research serve to reflect on some general assumptions about participation and the internet. Three conclusions are drawn. First, the implicit assumption that going online would enable the involvement of ‘the silent majority’ was not confirmed. Second, the role of experts presented an additional challenge to public engagement. Third, experiments with online communication between citizens and experts require more knowledge about virtual environments and online social networks by researchers and others who set up such experiments. The account calls for awareness among experts in online communication about perhaps unexpected needs for their expertise, and encourages translation and collaboration.